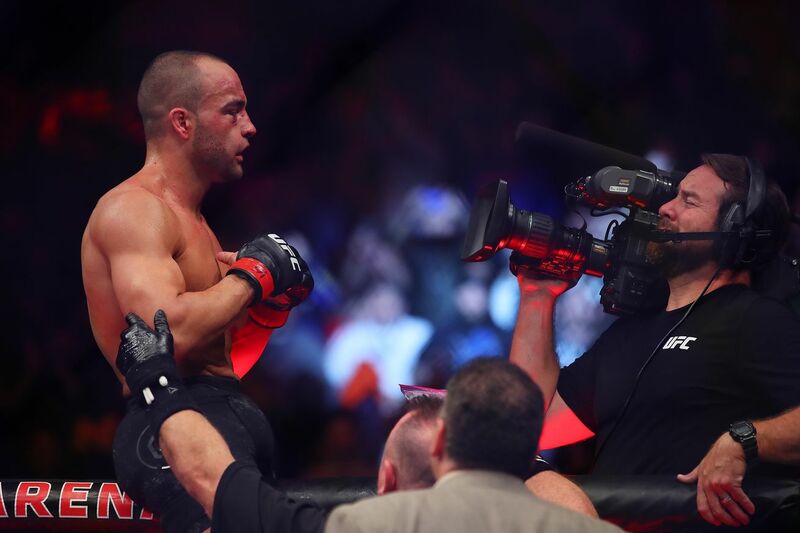 Former UFC and Bellator lightweight champion, Eddie Alvarez, has officially signed with ONE Championship. Founder / CEO Chatri Sityodtong broke the widely-anticipated news with a Facebook post on Tuesday morning. Alvarez, who holds a professional record of 29-6 (1 NC), is currently ranked No. 4 in the UFC lightweight rankings and boasts wins over the likes of Shinya Aoki, Rafael Dos Anjos, Michael Chandler, Anthony Pettis, and Gilbert Melendez, just to name a few. Alvarez is currently 1-1 against Aoki, who has been promised a lightweight title shot at the ONE Championship event on March 31st in Tokyo, Japan. “The Underground King” was submitted by “Tobikan Judan” in a 2008 fight for the WAMMA belt, but then stopped Aoki in the Bellator cage during their 2012 rematch. A trilogy fight with Aoki seems like an obvious matchup for the 34 year-old slugger although it remains to be seen whether Alvarez will continue to compete at lightweight, given that ONE Championship has a policy which limits the amount in which fighters are allowed to dehydrate themselves. The Underground King is leaving the UFC and heading to Asia, according to ESPN. 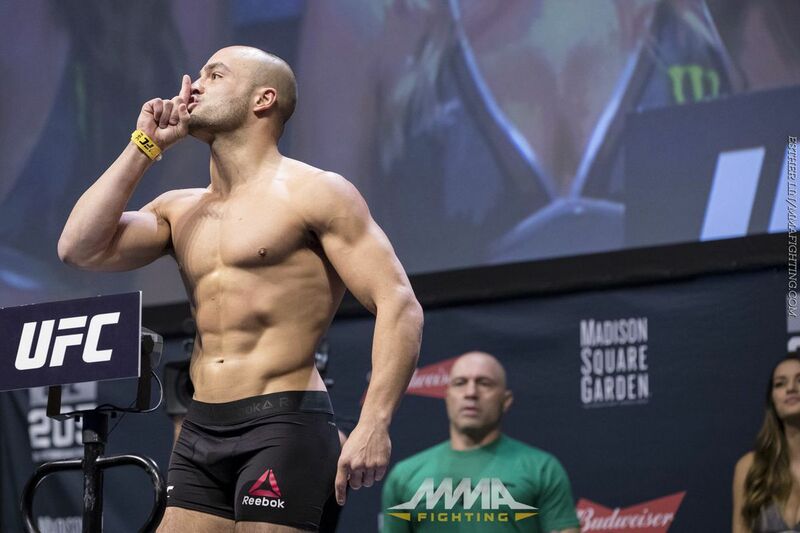 After weeks of rumors, it sounds like Eddie Alvarez is ready to sign on the dotted line. Of course, the UFC could always field a last second offer that draws fan favorite Alvarez back into the fold. Even at 1-2-1 over his last four fights, Eddie’s value to any promotion lucky enough to have him is clear – to the point where Bellator actually sued to try and keep him from leaving back in 2013. They only managed to hold onto him for one more fight before Alvarez arrived in the UFC, winning the lightweight title off Rafael dos Anjos in 2016 before losing it in a shocking route to Conor McGregor later that year. Wars with Dustin Poirier and Justin Gaethje confirmed that Eddie wasn’t done at the top of the extremely tough lightweight division, but Alvarez decided not to re-sign with the UFC leading into his final fight, preferring to test the waters of free agency. Not even a meeting with Dana White in Philly could get the two parties to agree on financial terms. Now ONE Championship is picking up one of the most exciting fighters in the world, one with tons of name recognition both with the oldschoolers and the Conor casuals. When last they fought, former champ Eddie Alvarez and Dustin Poirier hurt each other, wobbled each other, and then Alvarez inadvertently kneed Poirier in the dome while he was down and the bout was rendered a “no contest”. Well, in the main event of tonight’s UFC on FOX 30, these guys ran it back and settled things once and for all. And boy was it violent. They traded kicks, and Alvarez made cursory attempts at takedowns, but the first round was mostly about them chipping away at each other with punches – Poirier’s fists came through openings to bang Alvarez in the head, Alvarez’s fists coming as quick counters to the head and body. …And Poirier simply unloaded with everything, stunning Alvarez with knees and punches. Alvarez covered up and tried to fire back, but he was getting picked apart, and when he fell, Goddard jumped in. The post UFC on FOX 30 Results: Dustin Poirier Stops Eddie Alvarez in Ultra-Violent But Muddled Battle appeared first on Caged Insider.